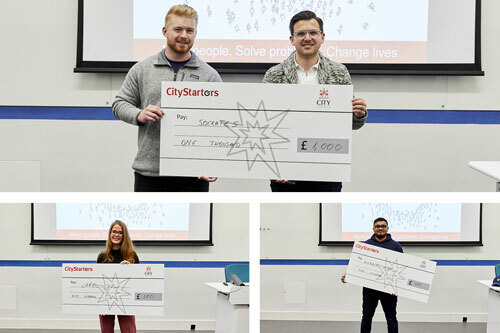 Student start-ups from across London universities competed for cash prizes at the Social Enterprise Festival. 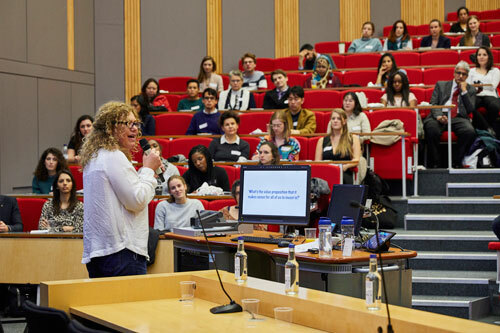 Marking its third instalment, the two day business festival saw around 450 students, staff and visitors take part in classes, panel discussions and workshops, focusing on how enterprises can create positive changes in the world. This year marks the first time that the festival was open to other universities, encouraging collaboration between young entrepreneurs. The festival included a panel debate discussing the difficulties and challenges of creating sustainable social enterprises. The panel consisted of Karen Lynch, CEO of Belu Water, Saasha Celestial-One, Co-Founder of Olio, Devi Clark, Programmes Director of Impact Hub Kings Cross, Louisa Ziane, Brand Director at Toast Ale and Irma Gross, Operational Analyst at Mustard Seed. Attendees were also invited to shop socially at the Buy Social Marketplace, a collection of sociable brands from London universities. The ‘Pitch for Good’ competition saw 11 early stage businesses compete for cash prizes to go towards their ventures. The judging panel included Teddy Kim, Investment Principle at Mustard Seed, Catherine Barker, Head of Finance at Bethnal Green Ventures, Phil Geraghty, Chief Crowdfunding Officer at Crowdfunder and Sophie Hobson, Head of Communications at the School for Social Entrepreneurs. There were three winners on the night, one of them being Mohammed Miah, (BSc Computer Science), with Bubble Mind, a dedicated mobile application which creates colours and sounds to help calm and educate children with autism. Mohammed, who founded his idea while working at a centre for autistic children, had won CitySpark’s People’s Champion award earlier in the year. Mohammed said: “The journey from CitySpark to the Social Enterprise Festival has been incredible. I am much more confident in my pitching and speaking since I have been a part of the Launch Lab. “At the last competition I was one of the youngest to compete, but a lot has changed since then and I now know how to clearly explain my story. With advice from the team I use a real example of a child called John, who inspired me to create Bubble Mind. “One of the things which makes Bubble Mind unique is its simplicity. It is very easy to overcomplicate things by adding so many features to a screen, however the best thing to do is keep it clear and easy to use. “Much like everyone likes to play with bubble wrap in the way it feels and sounds, Bubble Mind lets children create and learn with very basic tools. This year City invited students from across London universities to compete. Luke Geoghegan, (BSc Surgery and Anaesthesia) at Imperial College London and Yuriy Onyskiv, (MS International Health Policy) at LSE, scooped the first prize with Socrates, a smartphone software which allows medical students to work with virtual patients through artificial intelligence. Luke said: “There is a real fear with technology in healthcare as people do not want to lose out on human interaction, however Socrates is using artificial intelligence to enhance and empower clinicians to help them make the right decisions when working with patients. Isobel McFarland, (BA English Language and Literature) at UCL, took home the second runner-up prize with Care, an app directed at pensioners showing local and community events.